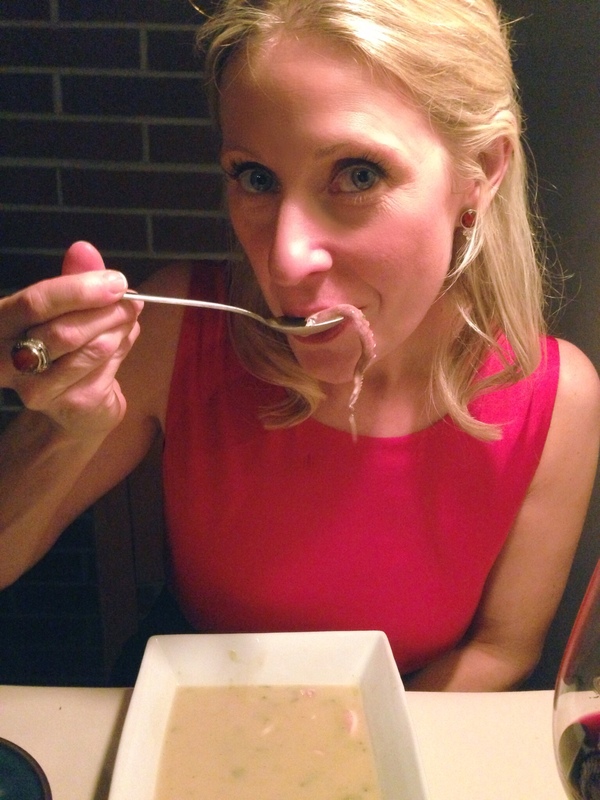 So I took a couple weeks off to celebrate and spread good cheer, and let’s be honest, EAT! But now I’m back and ready to fill your inboxes with delicious, wholesome meals intended to wean you off of those calorie-laden dishes that we’ve all grown accustomed to these past few months. The first of which is this amazing, Southern Italian-inspired Chicken Abruzzi (pronounced aˈbɾut tsi) which boasts as much flavor as it lacks in calories and fat. Loaded with hearty vegetables, creamy cannellini beans, and zesty lemon chicken, this savory meal is just the trick to jumpstart your post-holiday diet. Slice lemons in half widthwise. 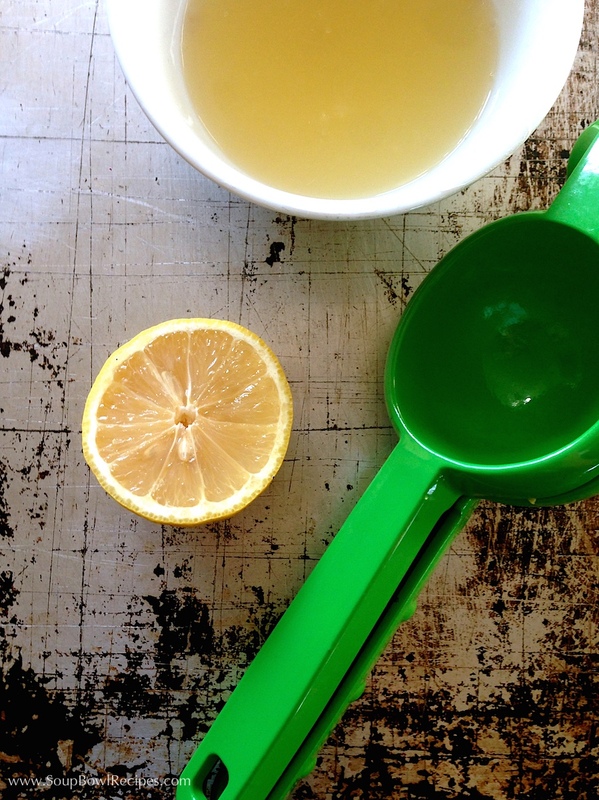 Juice 2 of the lemons (4 halves) and set the remaining lemon halves aside. 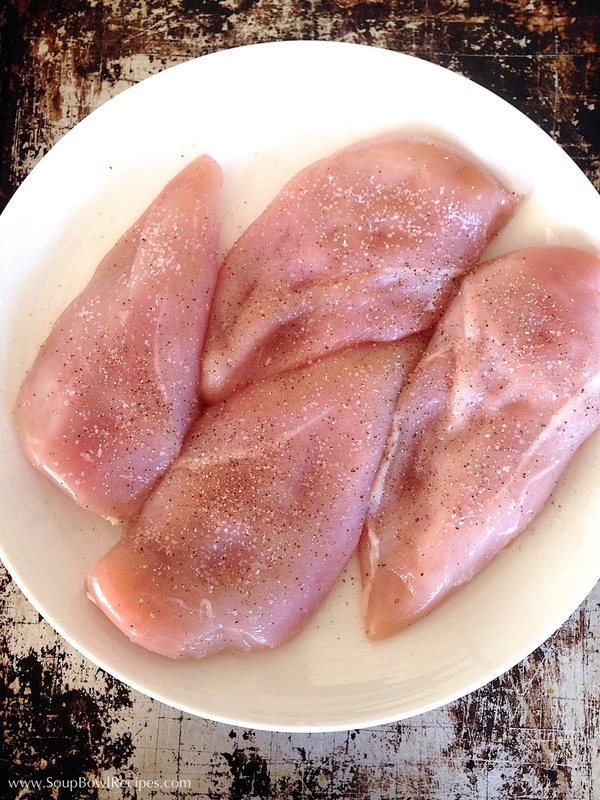 Season both sides of the chicken breasts with salt and pepper and lay in a single layer on a large dinner plate. 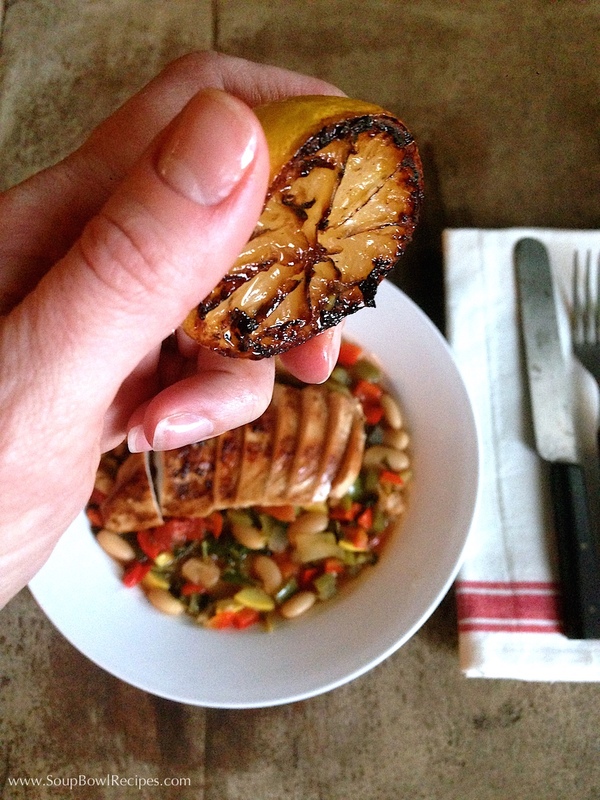 Drizzle 1 Tbsp of lemon juice over chicken breasts and allow to rest at room temperature for 30 minutes. 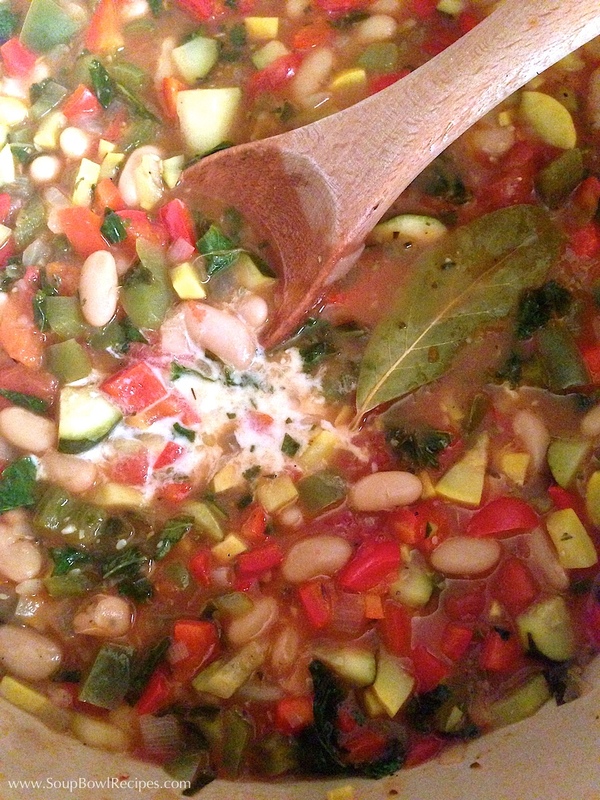 Set a large, heavy-bottom soup pot over medium-high heat and add 2 Tbsp olive oil with onions and garlic. Sauté until onion begins to soften and turn translucent, about 5-7 minutes. 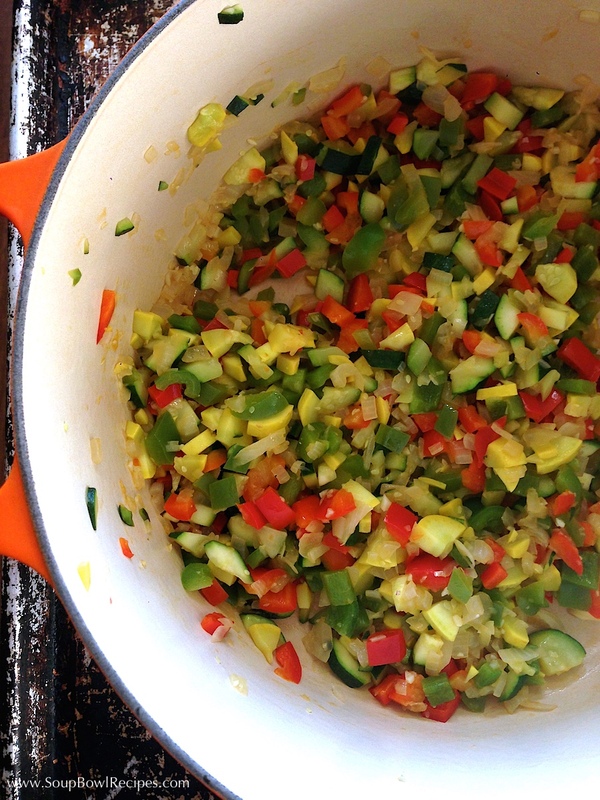 Add peppers, zucchini, and squash and sauté until they begin to soften, about 10-12 minutes. 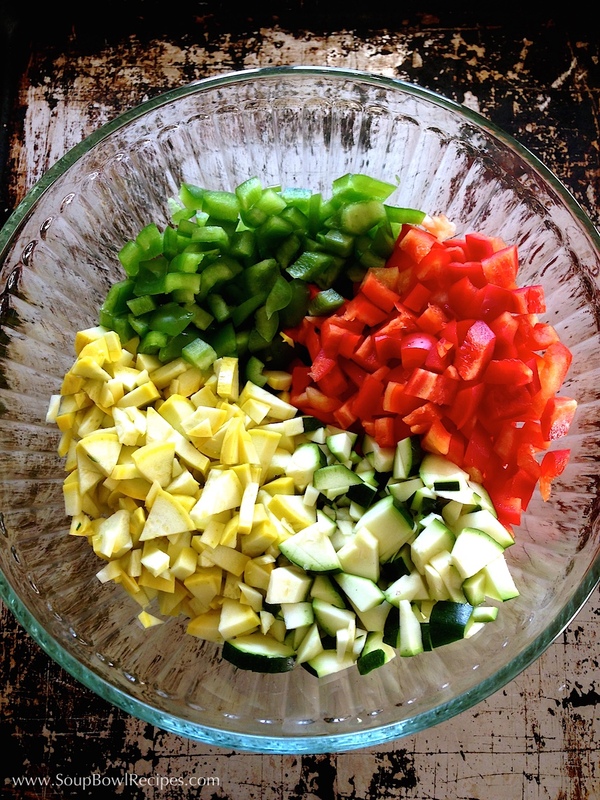 Add cornstarch and stir until all the veggies are coated. Cook for 1-2 minutes until the mixture begins to thicken. Add kale, stewed tomatoes with its juices (breaking the tomatoes apart with your hands as you add them), cannellini beans, chicken stock, rosemary, bay leaf, and reserved lemon juice; stir to combine. Season with ½ tsp of Kosher salt and fresh cracked black pepper; stir again and reduce heat to low. Simmer, partially covered, until the vegetables are tender, about 20-30 minutes. Once the vegetables have finished cooking, use a spoon to find the bay leaf and discard. Add milk and continue to cook over low heat, stirring occasionally, until the mixture becomes creamy, about 2 minutes. Meanwhile, in a large straight-sided skillet (preferably cast iron) set over medium-high, add remaining 2 Tbsp of oil. 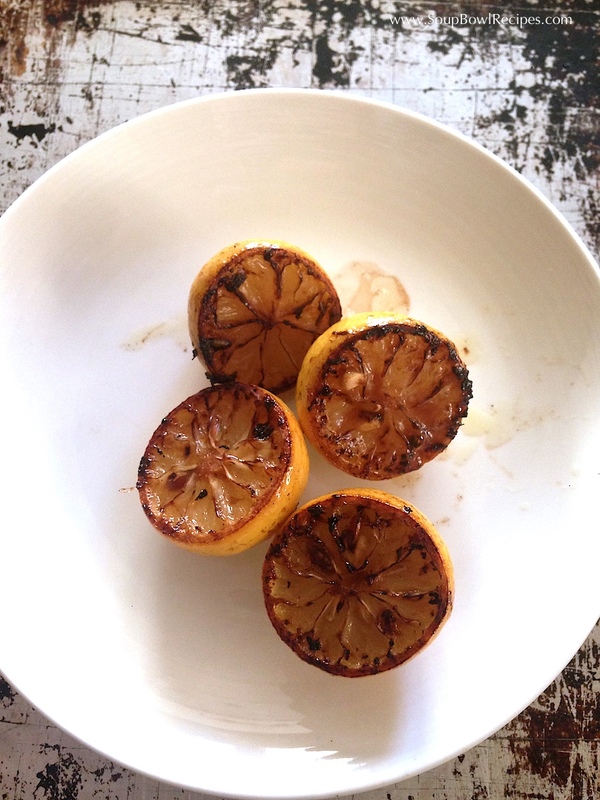 Once the oil is shimmering, add reserved lemons, cut side down, and grill for 2-3 minutes, or until they just begin to blacken at the edges. Flip lemons and grill for another minute on the peel side. 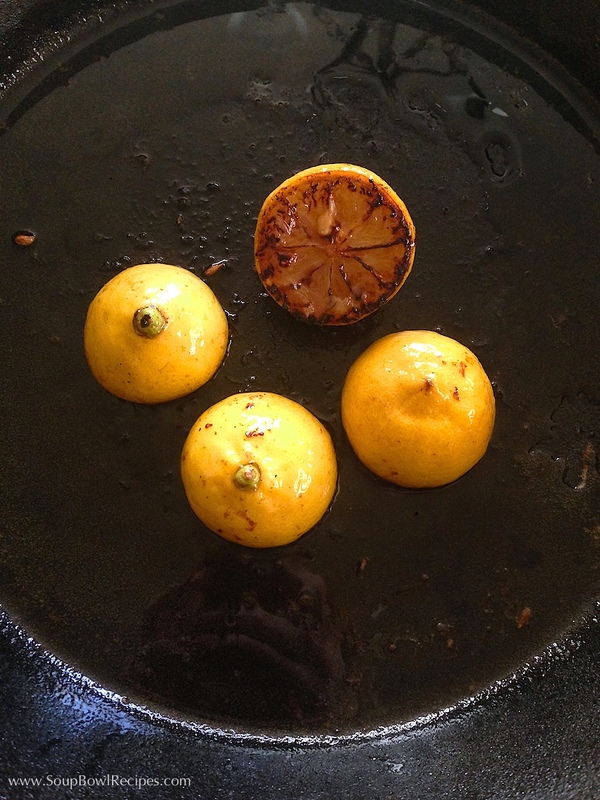 Transfer lemons to a plate and set aside. Using the same skillet, reduce heat to medium. Lift chicken breasts from the plate, shaking off excess lemon juice, and carefully place in the hot oil, smooth side down. 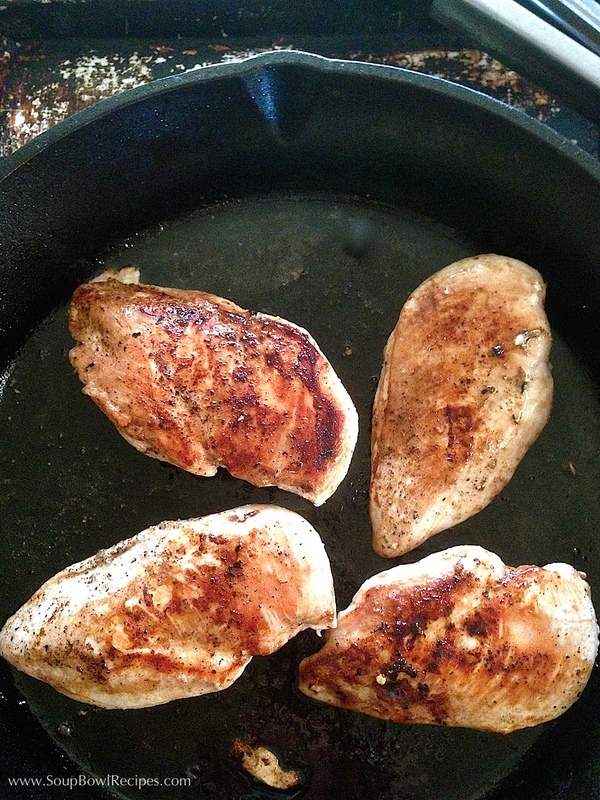 Cook, undisturbed, for 7-9 minutes or until evenly browned (chicken should lift easily from the pan without sticking). Flip and cook on the second side for 7-9 minutes or until evenly browned and no pink remains in the center of the breast when cut. Transfer chicken to a clean plate and allow to rest 5-10 minutes before slicing. 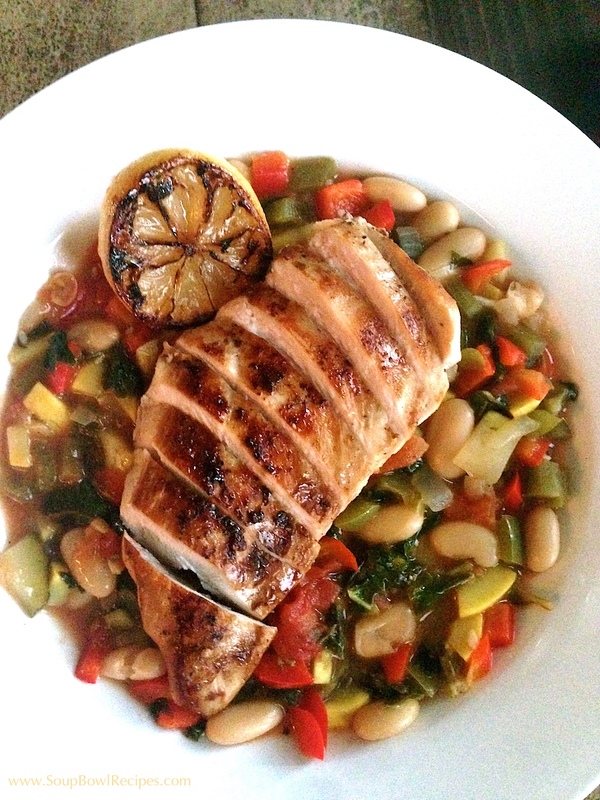 Evenly disperse vegetables into 4 shallow bowls and top with sliced chicken breast and a grilled lemon half. 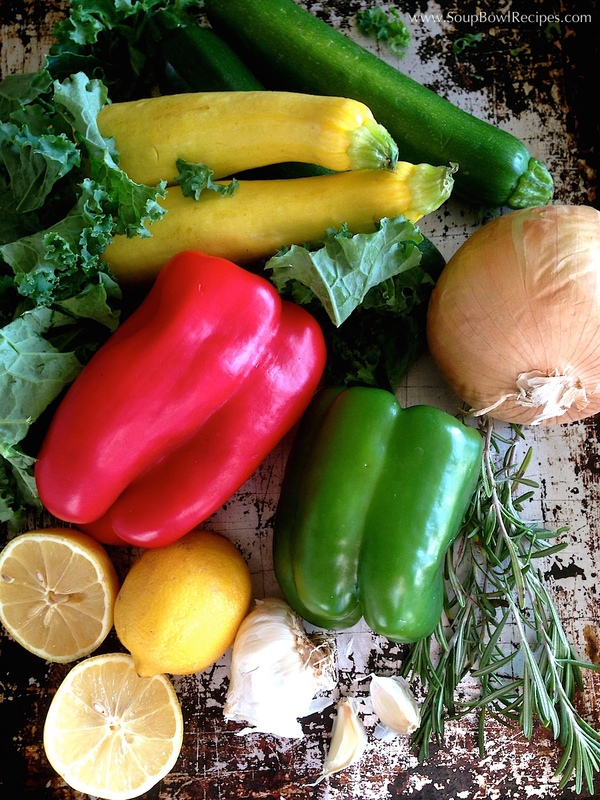 For an extra burst of flavor, squeeze grilled lemon over chicken and vegetables. 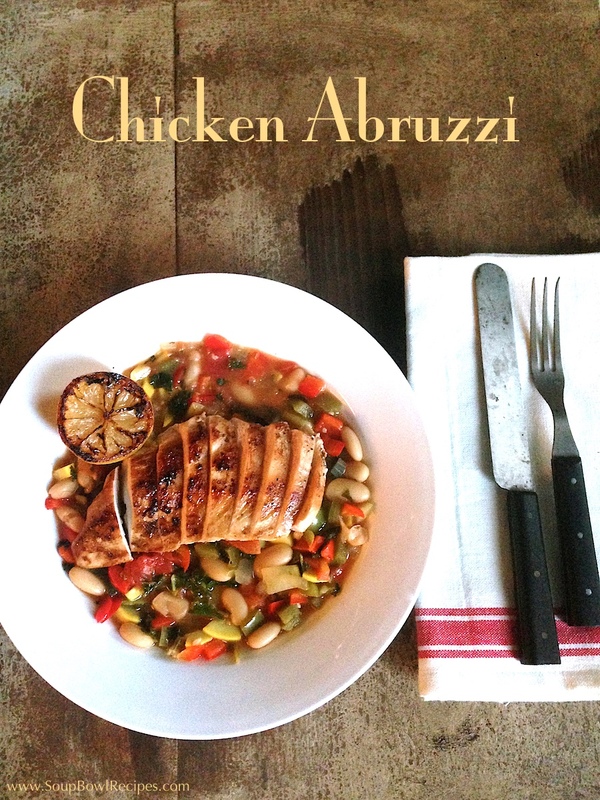 Chicken Abruzzi can be stored in the refrigerator, covered, for up to 3 days. Note: This dish tastes even better the next day, so don’t be shy about doubling the recipe and reheating the leftovers later in the week. Sidekick: For red wine drinkers: serve with Chianti. For white wine drinkers: serve with Sauvignon Blanc. For calorie counters: serve with water. This recipe looks amazing Emily! I’m glad to see you’re back, I always enjoy your blog. Thanks for the nice words, it’s good to be back!